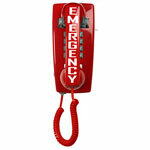 Asimitel offers a wide range of affordable single line and dial-less and emergency phones. Constructed with high-quality, durable materials, these phones feature a 7-year warranty. Paired with one of the display options, these phones are sure to attract attention, making them a valuable addition to any public space. The Pandu series, Asimitel's Single-Line, Touch Tone all-purpose desk & wall Telephone Sets. These phones are ultra dependable industry standard sets, manufactured with zinc plated steel bases, quality components and thick-walled ABS housings. The Pandu series can be used in commercial applications such as: Retail, Hospitality, Industrial, Health Care, Emergency, Call Center, Business and much more. The Omnia series is Asimitel's Direct-Dial, programmable and regular desk & wall Units. 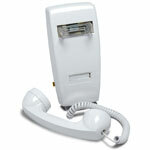 For uses such as: Hotline, Point-of-Sale, Emergency, Ring Down, Information lines, Courtesy & much more. The Omnia series are available in two versions. The Omnia No-Dial is a regular inbound only or ring down unit which uses your Phone System/PBX or Ring-Down Circuit to make the call. The Omnia Auto-Dial uses a self contained dialer, working as a stand-alone unit that doesn't require a Phone System/PBX or Ring-Down Circuit in order to dial out.